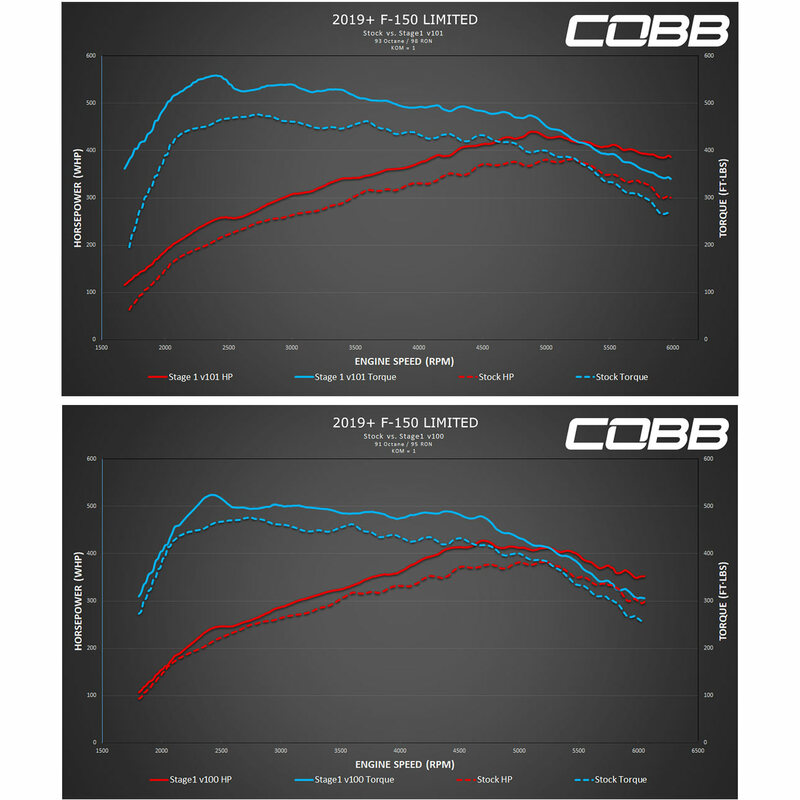 COBB FOR005001P Power Package Stage 1+ F-150 Raptor 2017-2018 – Apollo Optics, Inc. The Accessport V3 is the world's best selling, most flexible ECU upgrade solution for Ford. Unlock power hidden within the vehicle by replacing conservative factory settings with more aggressive calibrations. Upgrade forever with off-the-shelf (OTS) calibrations for most bolt-on modifications. It's the last engine management solution you'll ever need. The COBB Intake for the second generation Ford Raptor checks every box that enthusiasts expect from a high-quality bolt on upgrade. The factory piping from the air-box is replaced with dual 3" mandrel bent aluminum tubing to maximize airflow while custom silicone couplers ensure perfect OEM-like fitment. Also, we combined the improved airbox design with a high flow, dual inlet, tapered-oval filter. With 165% more surface area over stock, the intake produces more air-flow and a more audible turbo sound when building boost at low RPM. Combining the world's best selling, most flexible ECU upgrade solution along with a high quality cold air intake to increase air flow, COBB brings you the COBB Stage 1+ Power Package for your Ford F-150 Raptor. Get the best bang for your buck by treating your vehicle to parts that will increase your power and improve overall driveability. Nothing but a win/win situation!